"Where our houses Start from." 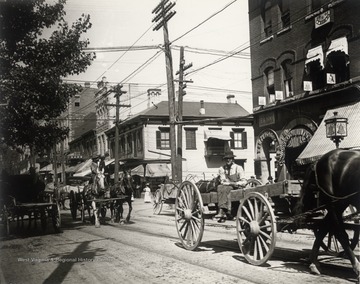 Logging crew at Tucker County, W. Va.
Horses, wagons, and pedestrians on High Streeet. 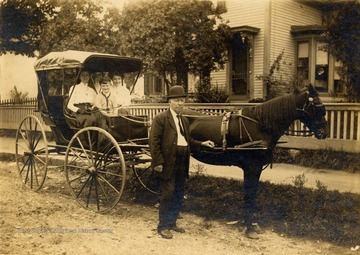 Group portrait of McKean Family with their horse and carriage prior to participating in a parade in Beckley. From left to right: Gertie (Beasley) McKean, son Clay, daughter Mae, and Sam McKean. 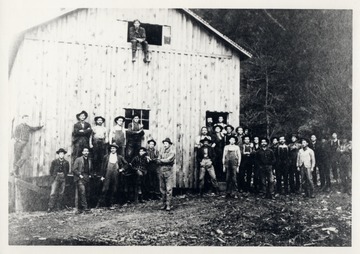 Group portrait of lumber workers in front of building. 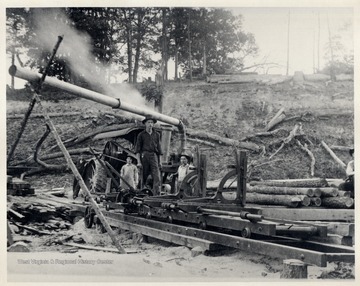 Teamster riding a log pulled by his team of horses, Pardee and Curtin Lumber Company. 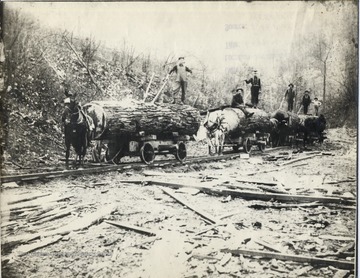 Horses pull cars with large sections of logs along tracks. 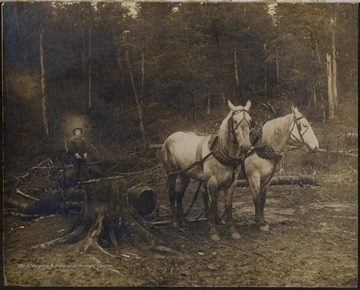 Loggers pose on logs. 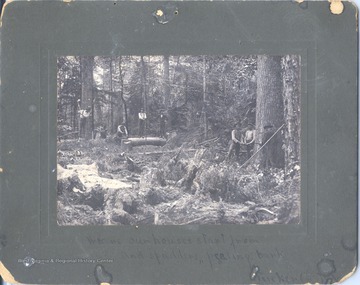 Group portrait of logging crew. 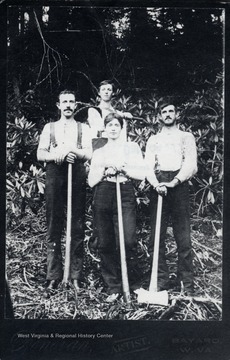 Four crew members standing with their equipment. 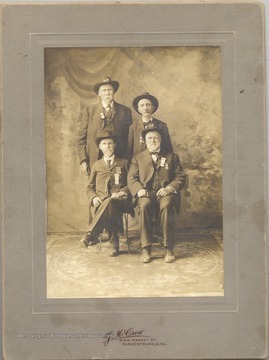 Group portrait of four Civil War veterans, members of the Parkersburg Grand Army of the Republic Group. 11. 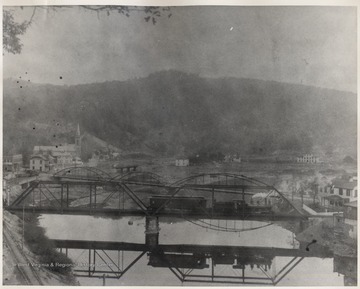 Locomotive Crossing the Bridge at Goose Creek, W. Va.
Locomotive Crossing the Bridge at Goose Creek, W. Va.
12. 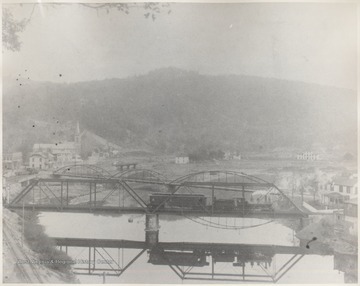 Locomotive Crossing the Bridge at Goose Creek, W. Va.